Table 301 is not just a group of restaurants – it’s a group of people who truly love food and a group of businesses dedicated to the highest standards of hospitality. Diverse in exquisite flavors and consistent in excellent service, Table 301 creates experiences that make Greenville, SC an irresistible stop on the culinary map. 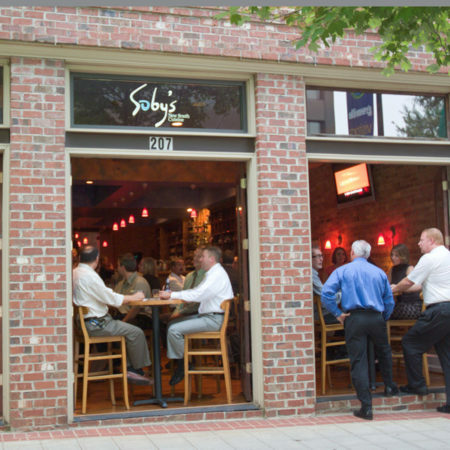 It all began in 1997, with the opening of the now Greenville dining staple, Soby’s New South Cuisine. Table 301 is now Soby’s, Soby’s on the Side, The Lazy Goat, NOSE DIVE, Passerelle Bistro, Papi’s Tacos Southern Pressed Juicery, Highway 301 Food Truck and Table 301 Catering. The name Table 301 represents our commitment to transparency between our patrons and our kitchen. It literally references a single table, number 301, in our first establishment, Soby’s New South Cuisine. The table is located at the top of the stairs on the second floor; it is closest to the kitchen and with the best view of the dining room. It seats two guests and sits directly above the kitchen. The guests can see the Chef. The Chef can see the guests. Our servers are the link between the two. It’s a great representation of our no-walls welcome philosophy. Many of the tables on Soby’s mezzanine overlook the kitchen, as if they were Chef’s Tables. But every guest, whether near the kitchen or sitting at the bar, should feel as comfortable as is they were chatting with friends around a big table in their kitchen at home. That’s the spirit of the no-walls welcome – complete transparency. What-you-see-is-what-you-get, in the best and broadest sense of that phrase. Next time you eat at Soby’s, ask for table 301 and find out what we’re all about. At Table 301, we’re passionate about our community and proud to be able to give back and support those around us. Since the beginning, and even before Soby’s opened it’s doors in 1997, we’ve focused on helping local nonprofits. Table 301 is proud to have contributed over $1.2 million in 15 years to deserving nonprofits and causes in Greater Greenville. We can’t help ourselves. We just believe in giving back to a community that has supported our business so well over the years. Besides, it’s fun and it makes us feel good to see what our contributions can mean to those in need. Given the number of requests we receive, we’ve decided we can do the most good and have the greatest impact by focusing our support in the area of Basic Human Needs. By that we mean: food, clothing, and shelter. If your request fits, then just please complete an application for assistance. Table 301 seldom contributes cash, but we do give lots of other great goods and services that can translate into proceeds for your organization. We can’t promise that we’ll say “Yes” to your request, but we promise that we’ll give it a hard look. If you represent a non-profit that is seeking our help, simply fill out the Table 301 Donation Request Form here. This application is good for all Table 301 properties. We require at least 30 days to review your application. 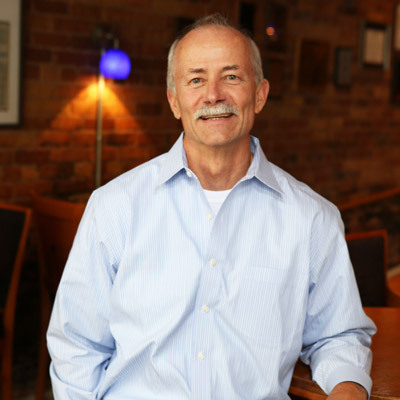 Carl Sobocinski is founder and president of Table 301 Restaurant Group, located in Greenville, South Carolina. 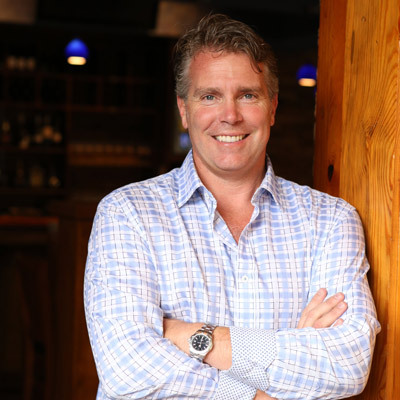 Carl has spearheaded the company’s growth and development over the past 20 years which now includes 10 signature restaurants in its portfolio: Soby’s New South Cuisine, Soby’s on the Side, The Lazy Goat, NOSE DIVE Gastropub, Passerelle Bistro, Papi’s Tacos, Highway 301 Food Truck, Southern Pressed Juicery, Table 301 Catering, and Jianna Modern Italian. A native of Durham, New Hampshire, Carl made his way to South Carolina and Clemson University where he pursued an architectural degree. Following his graduation, Carl quickly realized that his true passion aligned more with the hospitality industry and community service than architecture and design. In the mid-90s, he took a leap of faith and opened his first restaurant called The 858 in Greenville. Soby’s New South Cuisine followed in 1997 and the rest is history. Today, Carl is an active contributor to Greenville’s and the state of South Carolina’s business and charitable communities. He is currently a member of the Executive Committee for the South Carolina Restaurant and Lodging Association (SCRLA), the Furman University President’s Advisory Council and Mentor Greenville where he participates as a volunteer through the Frazee Dream Center. Carl was nominated and selected for a Liberty Fellowship in 2014, a program that recognizes grass-root leaders of South Carolina and asks them to collaborate on creative solutions to some of the state’s greatest challenges. In spring 2017, he was chosen to participate in Furman University’s Riley Institute DLI Upstate Class XXIII, an initiative that seeks established leaders in the area to help examine critical issues to the state and how they can drive positive change. On a national scale, Carl served for three terms as a board member for the National Restaurant Association where he held the position of Chairman of the Jobs and Careers Committee. Carl’s dedication to Greenville led him to work with the Executive Committee of the Greenville Convention and Visitor’s Bureau where he was instrumental in the city’s “Branding Initiative,” a successful effort to use a portion of hospitality tax revenues to create a plan for marketing and promoting Greenville as a tourist destination. In 2006, he and platinum-selling singer-songwriter Edwin McCain spearheaded the creation of Greenville’s nationally-acclaimed, four-day food, wine and music festival called euphoria. Over the past 11 years, the event has evolved into a premier culinary and musical arts destination for thousands each September and has helped to raise important funds for Local Boys Do Good, a foundation that supports non-profits in the community. Today, Carl holds emeritus status on the board of euphoria. Carl’s passion for Greenville started long ago and he remains an enthusiastic supporter for the city’s growth and future. Much of the success with his restaurant group comes directly from his own mantra to provide all guests with an exceptional dining experience, one that exceeds their expectations. Today, his inspiration comes from raising his two daughters who keep him busy with everything from tennis to basketball and experiencing all the milestones that come along with being a proud father. Freidank began his culinary career at age 16 in a New York style delicatessen in Long Island, New York, where he was born and raised. 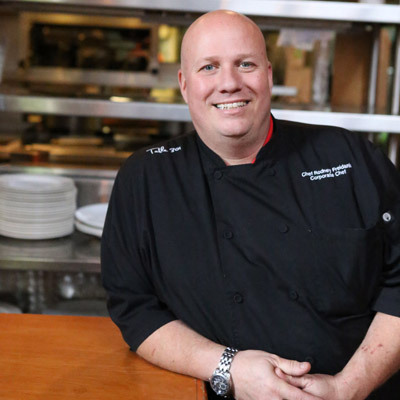 His first chef position came several years later at a family-owned restaurant in Wilmington, North Carolina. It was this experience that inspired him to apprentice under Chef Pete Herring (CEC) in Carolina Beach, North Carolina. After three years of developing a serious appreciation for the freshest seafood of the Carolina coastline, he was lured to Greenville by the culinary talent of The 858 restaurant. Having worked his way from line cook to Executive Chef, displaying a true love of fresh ingredients and bold flavors, he was commissioned to help open Occasionally Blues restaurant and blues club. Freidank earned the status of Certified Executive Chef in June of 2001. Since joining Soby’s New South Cuisine in 1997, he and his staff have won several local culinary awards and accolades. In January 2000, he was given the honor of hosting a dinner at the prestigious James Beard House in New York City. The James Beard Foundation is an organization that shares the same high regard for education and culinary excellence, as the entire Soby’s team. Chef Rodney opened Restaurant O as it’s Executive Chef and Partner. Freidank is co-author of the award-winning Soby’s New South Cuisine Cookbook, which was published in November 2007. In February 2008, Freidank was awarded the South Carolina Hospitality Association’s “South Carolina Restaurant Manager of the Year” award. This award recognizes performance that goes above and beyond the normal job expectations both at and away from work, including outstanding and unusual service to their company, to their customers and to their community. Since January 2010, Freidank has held the position of Corporate Chef, Table 301. 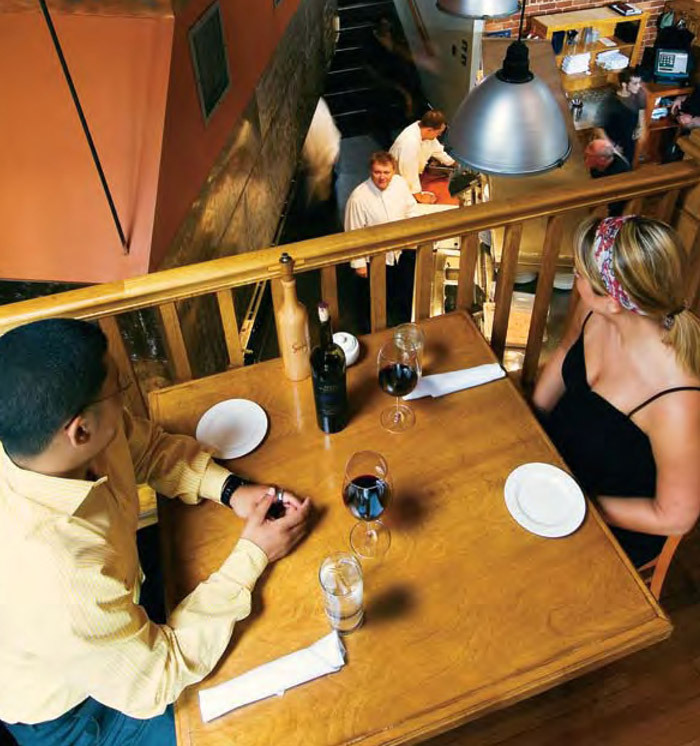 In early 2011 Freidank played an integral role in opening NOSE DIVE, the area’s first gastropub. Freidank has been involved in opening the most recent Table 301 concepts including, Passerelle Bistro, a French-inspired bistro located in Falls Park, in the heart of downtown Greenville; Papi’s Tacos, a “taco truck without the wheels” casual concept featuring authentic Mexican tacos and tortas to go; and most recently, the Highway 301 Food Truck. Steve was born in Charleston, SC and grew up in Florida for the first half of his life. There he attended college at Florida State University, where he received his Bachelor’s Degree in Hotel/Restaurant Management. Right out of college, Steve was hired to create and teach a hospitality program to the locals in the British Virgin Islands, which led to an opportunity to work as a manager at the Bitter End Yacht Club on Virgin Gorda. Steve ended up returning stateside to South Florida to marry the love of his life, whom he met at college. He assumed the position of GM/Regional Supervisor of Bayport Restaurant Group. When the time came to raise their family, they moved to Atlanta, where Steve continued his role with Bayport. After eight years with Bayport, they moved to Charlotte where he began working with Levy Restaurants as a Director of Operations. After 13 years with them, he accepted a position as the Director of Operations with a restaurant group that was more regional, Harpers Restaurant Group. This restaurant group operated a diverse group of independently operated Chef driven restaurants. During this time, their two children, Matt and Ali graduated from college at roughly the time Steve met Carl Sobocinski. They hit it off instantly with a common philosophy regarding hospitality, so in January of 2015, Steve and his wife made the move to Greenville, SC where Steve assumed his current position of COO/VP of Table 301. When Steve has some free time, he is an outdoorsman, and enjoys bow hunting and fishing and enjoys spending time with his lovely wife Bev, their son and daughter, and their golden retriever, Gracie. As a teenager, Chef Kramer got his first taste of the culinary world when he got a job at a restaurant to pay for his surfing hobby. He didn’t choose to become a chef until college when he attended the California Culinary Academy in San Francisco. He spent his apprenticeship at La Folie restaurant under legendary French Chef Roland Passot where he learned essential cooking techniques, butchery, and, most importantly, seasoning. After graduation Chef Kramer returned to his hometown to work at Wolfgang Puck’s Spago in Los Angeles. 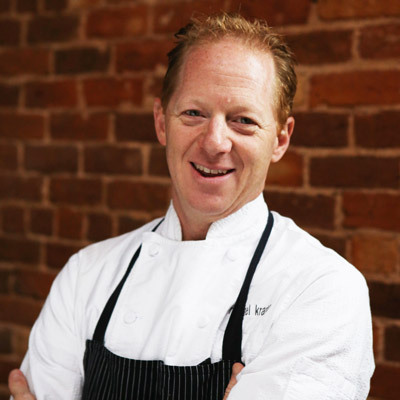 In April 2013, Chef Kramer moved to Greenville, SC to take a position with Table 301 Restaurant Group. Chef Kramer works in culinary operations and helps execute culinary strategies and new restaurant concepts for Table 301. He is asked regularly to participant in culinary events and festivals around the country. He has most recently been as a guest chef in events such as Chefs & Champagne, Charleston Wine + Food Festival, Atlanta Food and Wine Festival, euphoria food, wine and music festival, the Kentucky Derby, the Cincinnati Food and Wine festival, among many others. At home in Greenville, he enjoys riding and racing bikes whenever possible and hanging out with his dog Roxy.